Nevada Bob's Golf – Your Game. Your Store. Nevada Bob's has proudly been a Madison staple since 1990. Even more iconic than the store itself is our owner, Joel Zucker. If you live in the Madison area and play golf, you've probably heard Joel's name buzzing around town. And for good reason. Joel and his staff have built a strong community around this store, always guaranteeing the "best selection, always the best price", made even better with top-notch customer service. Why would you want to shop anywhere else for all your golfing needs? Don't live in the area? We'll happily ship to wherever you area. Just give us a call at the store. We have a large selection of both men’s and women’s clothing and accessories from major name brands like Adidas, Nike, Under Armour, Callaway, and many more. 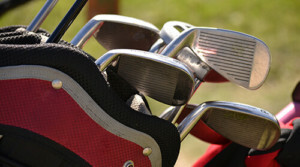 Other services provided by Nevada Bob’s includes golf club repair and customization services. 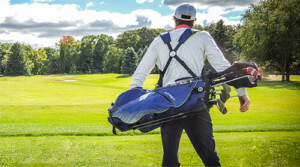 Whether you have a classic collectible or just a club that’s an old favorite, you can find new life for it by repairing, restoring, or customizing your clubs of every kind to their original condition or even better. We offer reshafting services during which we will remove your old shafts and replace them with any new ones we sell plus add the grip of your choice. If you don’t specify a new style of grip, we will replace it with as close to the same size/style that is currently on your club. Nevada Bob’s now offers the largest selection of women’s, men’s and junior clothing in the entire Madison area. Need special ordering for a golf tournament or outing? We’ve got you covered. Nevada Bob’s has a HUGE selection of clubs to fit all needs, talent levels, and price points. Come in today and let us custom fit you for your game. After all, golf should be fun and the right equipment can help make that happen. Nevada Bob’s has the most incredible selection of used clubs. Come on in and take a look. With trade-ins accepted every day, there’s sure to be that perfect club that hits straight down the fairway, waiting here for you.